Using the popular Gamesys software, Sun Bingo has since its opening in 2006 gained in popularity amongst online players. Sun Bingo is the official site of the Sun Newspaper and was born from the popularity of the bingo game first introduced on paper cards issued with the paper. Sun Bingo has devised many offers that will surely remind you of the Newspaper itself like the Astrologist ‘Meg’ who now has its own slot game called’ Mystic Meg’. 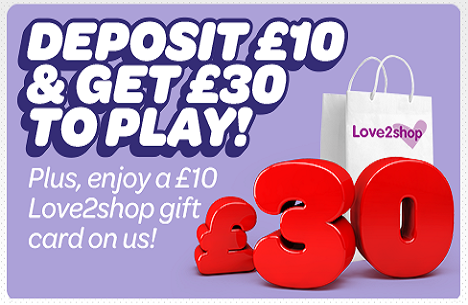 The welcome bundle of Sun Bingo will pretty much sun up your play with 300% bonus, therefore, you will get £40 to play with after making a deposit of £10. There are further big prizes to be won at Sun Bingo that runs on a daily, weekly and monthly basis. At Sun Bingo, you will find all your favourite games such as the 90 Ball, 75 Ball, 80 Ball, Bargain Bingo and Snap. There are also a series of instant games that you may either play for real or fun play. The top games found at Sun Bingo are Mystic Meg, Wonderland, Deal or No Deal, Zuma and Double Bubble Slots. Also available at Sun Bingo is the progressive jackpot Slot namely the Tycoons Progressive Slots. Further games which you will most probably enjoy at Sun Bingo are the Breakfast Club, BOGOF Bingo, Session Bingo, Prize Pick, Jazz Bingo, Mobile Bingo, Mobile Fun-O-Meter, Find the Fib, Box Bonanza, Everyone’s a Winner and many more. Sun Bingo also offers a series of free bingo games that run on a daily basis. There are various fields to fill in before your account at Sun Bingo is created however don’t let that scare you since those are easy steps. The mandatory fields are the username, email address, password, personal details and also make sure to tick the below boxes before clicking onto Join Now. You won’t be required to register your banking details when creating an account at Sun Bingo unless you wish to play for real money. With every detail being protected through the art 128-bit encryption, you can be sure that any banking details that you provide to Sun Bingo will be highly protected. For any questions that you might have in regards to the site or the games, Sun Bingo has the FAQs section where most of your questions are answered. And in the event that your questions aren’t there, you may get in touch with the reliable and experienced Live Chat team who will assist you. Email and phone are the other options that Sun Bingo gives you. For an enjoyable time, Sun Bingo is the right destination to be as you will benefit from the top-notch features, easy to use interface and the possibility to join the already big community. Register and benefit from the various games and promotional offers that Sun Bingo has.